He’s back! 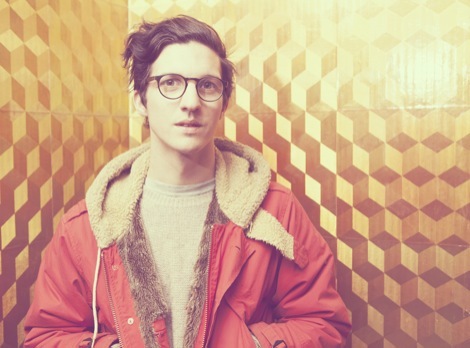 GIT Award 2012 nominee, Liverpool’s literate pop star, Dan Croll, returns to the shortlist with a forthcoming debut album set to shoot his star higher still. Getintothis: Alan O’Hare catches up with Merseyside’s pop big hitter. 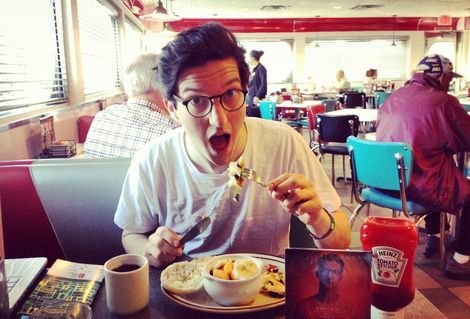 If great art is created by artists who never stop growing, then Dan Croll is off to a cracking start. Rising from the ranks of Merseyside’s-most-likely-to, into an Atlantic crossing, chart bothering star – in double quick time – has given him a couple of years to remember. Sweet Disarray is out on Decca this month and is a timeless debut record. 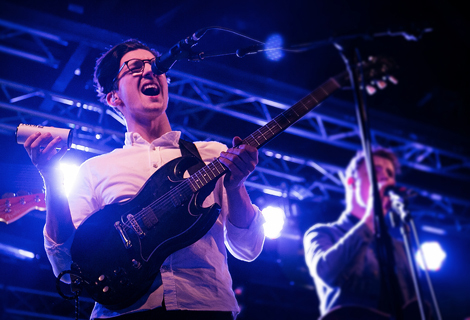 Full of literate pop, with interesting beats and great singing, the album will put Croll front and centre, alongside peers like, say, Vampire Weekend and Noah & The Whale. Paul Simon with a laptop? Not quite. But the old man isn’t the only living boy with a tune and an idea. 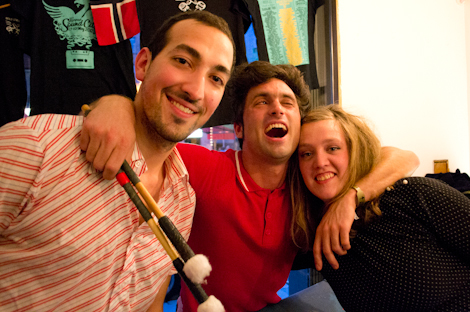 “Yeah’, I listened to a lot of Simon & Garfunkel making the record“, says Croll. “Also Ladysmith Black Mambazo, MOP, Dirty Projectors, Lykke Li and Meshuggah. And Liverpool artists like All We Are and Outfit.” He knows his onions, then. With headline tours at home and in America, alongside ringing endorsements from Paul McCartney, BBC Radio 1 and BBC 6 Music, Croll’s star is dazzling going into his first big release. Singles From Nowhere and Home have already caught influential ears and Getintothis has followed his progress since the start. Indeed, Home made lots of people sit up and take notice in 2013 and From Nowhere – with its deliberate beat and a melody that sounds like your favourite Brit film soundtrack – sets its stall out with Croll’s distinctive, but familiar, vocal. Getintothis knew that Croll had a debut album this good in him from the start (he was one of our ‘ones to watch’ back in 2012 and received a GIT nomination in that year too). But the distraction of the road provided us and his ever-growing army of fans with waiting and worries, for and about, the new music. High profile slots at festivals on both side of the Atlantic in 2013 – including the iTunes Festival, SXSW, Austin City Limits, Reading and Leeds and Festival Number 6 – kept us waiting. His festival performances have been great. That they have brought him new followers too, is all the sweeter given the attention that perfectionist Croll places on his presentation: “It’s been really fun playing festivals and that really challenges me to find the right set list. Trying my best to curate it for each audience to try and retain their attention whilst there’s another million bands playing at the same time… it’s hard” he reveals. Not a lot appears to come hard to him, however. The songwriter has a knack with a melody and that all important feel for a great tune. If his music sometimes sounds effortless, that’s because it probably is. But, as we’ll see at his upcoming headliner at the Kazimier (his biggest homecoming yet), he works very hard on getting things right. Much improved as a live performer, and he wasn’t too shabby to begin with, Croll appears primed to break out from the pack and bring those erudite tunes to the masses. Does he want to? Well, his melodic and nuanced music remains more, say, Beirut, than Fleet Foxes. But there’s no doubt that his major label melodies will more than make a match for the contenders for Radio 1’s ‘indie’ champion crown. Croll is a songwriter who works at his craft and one who is getting better all the time. Getintothis’ crystal ball sees, perhaps, a Beck Hansen-esque future: all interesting diversions and great sounding records. He’s ready to go over the top. Get into him now. 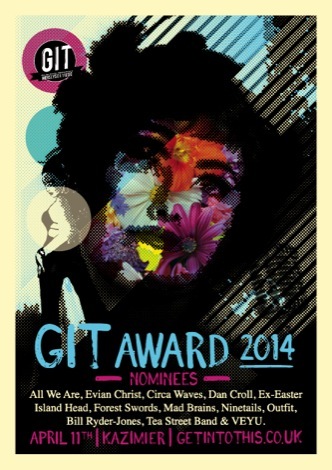 GIT Award 2013: picture gallery featuring Baltic Fleet, Nadine Carina, Conan, John Heckle, Tyler Mensah and more..